There are changes to Special Needs arrangements in schools. The new special educational needs and disability (SEND) Code of Practice came into force in September 2014. The existing categories of School Action and School Action Plus will no longer apply, and will be replaced with a new system called SEN support. Statements of special educational needs are being replaced with a single education, health and care (EHC) plan for children and young people with complex needs. The EHC plan will place much more emphasis on personal goals and will describe the support a child will receive while they are in education or training. This will NOT affect children who already have a Statement in place. For children with less complex needs but who still require help, a new system called special educational needs (SEN) support will replace the existing School Action and School Action Plus. Holly Park School aims to ensure the best possible provision for all pupils who have Special Educational Needs. The school encourages parent partnership and co-operation for the benefit of its pupils, striving to give every pupil the opportunity to maximise their life chances by experiencing a positive learning environment. Diana Kelly – Children’s Co-ordinator (maternity leave). Diana has completed a Masters in Special and Inclusive Education and is currently doing the National SENCo award. Louise Hurry – Inclusion Assistant. Louise has been trained in: SEN -Speech and Language Therapy, Autism training, Downs Syndrome training, Nurture group training, Level 3 NCFE accredited SEN teaching assistant course. Kathy Puzey – Learning Mentor. Kathy has been trained in Specialist teaching assistant Level 4, Bereavement awareness for Professionals, Solution focus interventions, Anti- Bullying, Counselling. Plus a large group of teaching assistants with a variety of experience, training and expertise. ‘A child has Special Educational Needs if they have a learning difficulty or disability which calls for special educational provision to be made for them. Pupils causing concern are observed, assessed, tracked and monitored. Support takes the form of planned differentiated activities, specific strategies, a variety of resources and additional support given by teaching assistants working in small groups. Pupils experiencing a higher degree of difficulty are often referred. This means that external services will become involved, referrals are made to relevant agencies: this could be the educational psychologist, the speech and language service, the consultant paediatricians, and services which deal with emotional, behavioural issues : the High Incidence Support Team, Barnet Primary Project, Child and Adolescent Mental Health Service and the Health and Emotional Wellbeing Service. Consultation with parents will take place before referrals are made. The Health and Emotional Wellbeing Team attached to our school works to improve the overall outcomes of an individual’s, emotional health, which will have a positive impact on their learning and development. They provide specific support by trained professionals for varying difficulties, some of these interventions include: transition to secondary school for vulnerable groups, emotional literacy programmes, anxiety and worries, low self esteem, challenging behaviour, peer relationship difficulties, bereavement, separation and family difficulties. Occasionally, if the child’s needs are severe, complex and lifelong, a referral for an Education Healthcare Plan might be necessary, and permission from parents is sought. This could lead to further advice or a EHCP might be thought necessary. Children with an EHCP are allocated specific teaching assistants who are changed over time. Children with severe needs are supported by the SEN Team either individually or in a very small group. The intervention groups at Holly Park not only focus on learning in English and Maths, for children whose progress is causing concern, but also for children who have social, emotional and behavioural needs. These difficulties can have a huge impact and can be a barrier to learning. The school’s Learning Mentor works throughout the school and runs small group circle time activities and is on hand to deal with children whose learning is being affected by a range of emotional, social and behavioural incidents and issues. There is an instant response for any child who might have an emergency at home or school. 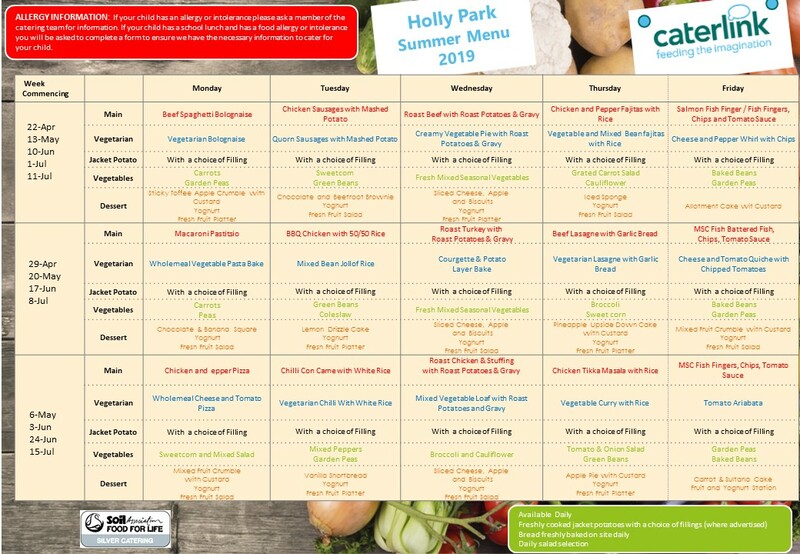 Holly Park is a warm and vibrant school, where everyone is welcome, it strives to be as inclusive as possible within its constraints of finance and the building, there is an open door policy for parents to voice their concerns and to come to a solution with staff for the benefit of their child.